Our presented range of 500 ml Oil Bottle is broadly employed in the market for their durable nature. Due to their top features, these are enormously demanded in the market. We offer a huge gamut of Mustard Oil Bottles in the market. Our product is available in many designs, sizes and colors, and suitable for storing oil & other liquid food items. This is a non-toxic and high quality plastic bottle, which confirms to the international quality standards. 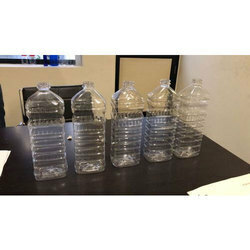 Besides, our plastic bottles have a narrow opening and extremely reliable, efficient & durable. We offer our customers high quality 500 ml. Bottle, which are made using premium quality plastic. At par with the international quality standards, these are available with us at competitive prices. In order to meet the varied requirements of our customers, these are being offered by us in the following specifications. 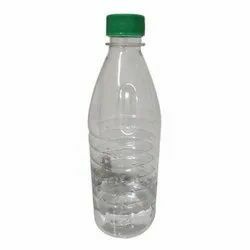 The Mustard Oil Plastic Bottle provided by us is used for the storage of mustard oil. This bottle is leakage proof. One can avail from us a quality approved assortment of Edible Oil Pet Bottles. Owing to their top quality, our products are extremely praised amongst the patrons.